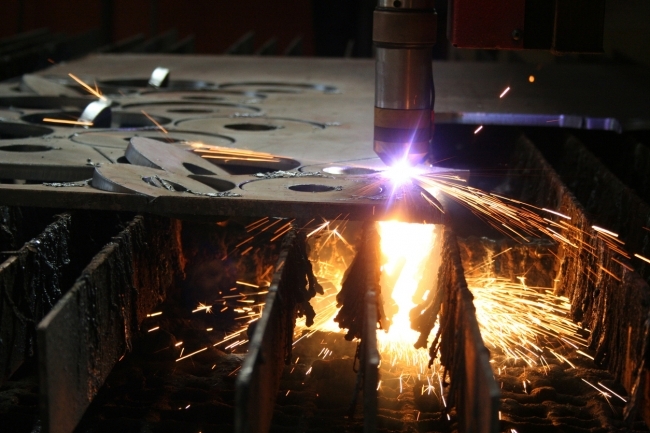 Yet more positive news for Britain’s manufacturers as they end the year with a bang, on the back of the continued improvement in global demand and increased export performance, according to a major survey published by EEF, the manufacturers’ organisation and accountancy and business advisory firm BDO LLP. 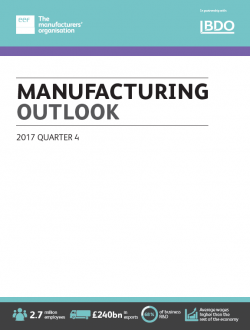 According to the EEF/BDO Manufacturing Outlook Q4 survey, manufacturers are continuing to ignore the ongoing political uncertainty at home as improved global demand, from European markets in particular, and the increase in commodity prices is feeding growth across the manufacturing supply chain. This is compensating for weaker UK demand as the squeeze on living standards and Brexit uncertainty continues to take its toll domestically. This strong performance, across all sectors and regions, has led EEF to upgrade growth forecasts for manufacturing for this year and next, meaning the sector will outperform the economy overall. Furthermore, the positive conditions in the fourth quarter mean that 2017 will be the first since the financial crisis when both output and order balances have been positive in every quarter throughout the year. The bounce in business conditions seen over the course of this year is driving the need for investment in more capacity to fulfil increasing customer demands. As such we’ve seen the second successive improvement in investment intentions, with the balance of companies planning more capital expenditure hitting a three and a half year high. Commenting, Ms Lee Hopley, EEF Chief Economist, said: “Stronger global growth has cemented the foundations for growth in manufacturing this year, but the sector’s contribution to the UK economy has been greater than most expected. Not only have we seen consistently positive survey responses in each quarter this year, but growth has been evident across all industry segments and UK regions in 2017. Tom Lawton, Partner and Head, BDO Manufacturing, added: “Manufacturers have continued their strong performance into the final quarter of 2017, ending the year with plenty of festive cheer. The sector’s performance is being driven by increasing demand from around the world, in particular Europe. The task of government is very clear: it needs to deliver a Brexit that minimises disruption to manufacturers – they are the economic engine of the UK economy. According to the survey, both output and total orders remained in very positive territory at +34% (+34% in Q3) and +30% (37% in Q3) respectively. Looking forward, whilst the balances are expected to ease further from those seen this year, some of which have been historic highs, they are expected to remain very healthy. The continued growth in world trade and weakness in the UK market has meant that the gap between export and domestic orders has continued to widen due to rising inflation, slowing consumption growth and Brexit uncertainty. Export orders remained at the same level as in Q3 at +33% whilst domestic orders continued to soften, easing back to +12% from +22% in Q3. Whilst some sub-sectors are showing more resilience, the divergence in confidence between the UK market and rest of the world is likely to linger into 2018. Nevertheless, longer-term confidence amongst manufacturers about their own firm-level fortunes continued to edge higher this quarter with growing pressure on capacity leading manufacturers to increase investment for the second quarter running, with the capital expenditure plans balance hitting its high level since 2014q2 at +20% (+15% in Q3). This is being accompanied by continued robust recruitment plans across the sector, +22% in in Q4 compared to +25% in Q3. 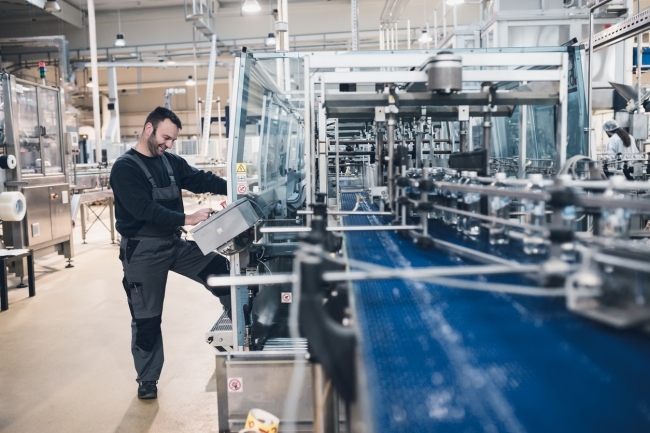 As a result of the strong conditions for manufacturing through 2017 and the positive outlook for 2018 EEF has upgraded its forecasts for the sector to +2.1% and 1.4% respectively. This is faster than the UK economy overall where, in line with the OBR forecasts at the Budget, EEF expected tepid UK growth of 1.5% in 2017 and 1.3% in 2018.